And I know this because my allergies are just waking up after a long winter’s nap. The lilacs are leafing as are the Maple trees (a big allergy for me) and I’ve loads of old weeds to remove from the gardens yet. This is the time of year that I enjoy misty days because it makes yard work less dusty and pollen laden, but the plan this morning is to sally forth while the dew is still on the grass. The snow defeated my garden fence so I think that will be the first task. We’ll see just how well I installed the posts – well the posts that are still upright, that is – and stretch our abilities attempting to roll up the fencing before attaching it to the upright posts. I see ibuprofen in my future. 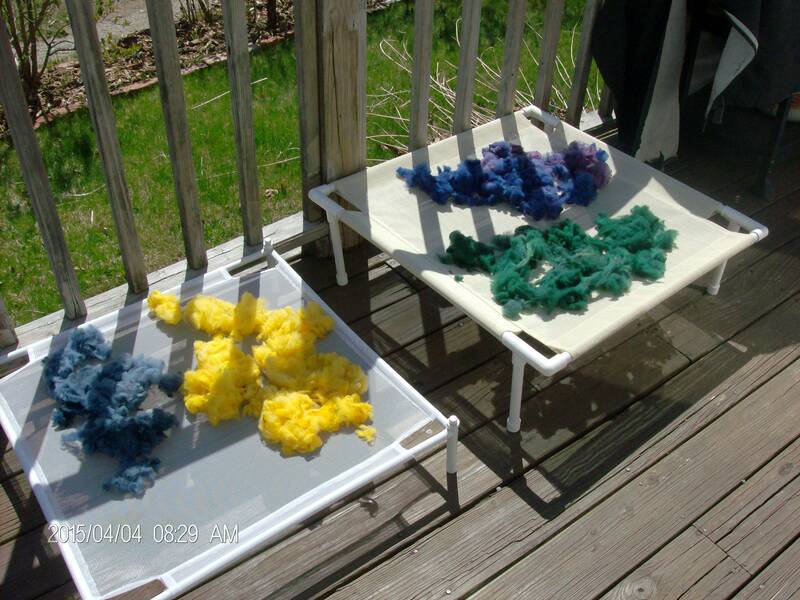 I will also take my dyed wool back outside because that didn’t dry quite so nicely overnight after being spritzed on by on solitary, and unruly, rain cloud yesterday afternoon. The sun is shining now, so I have high hopes that it will be dried by this evening and ready to become needle felted air fresheners. 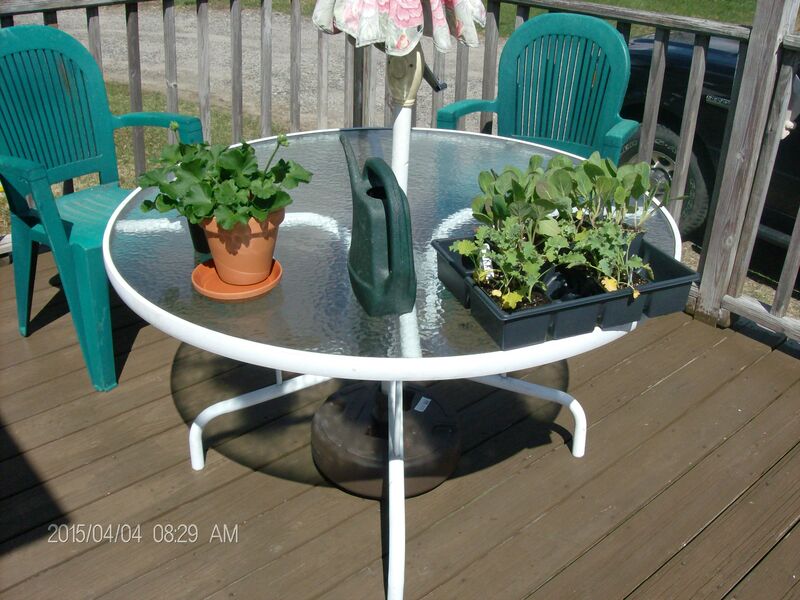 And last, but certainly not least, I want to get my Brussel sprouts and kale into the garden. 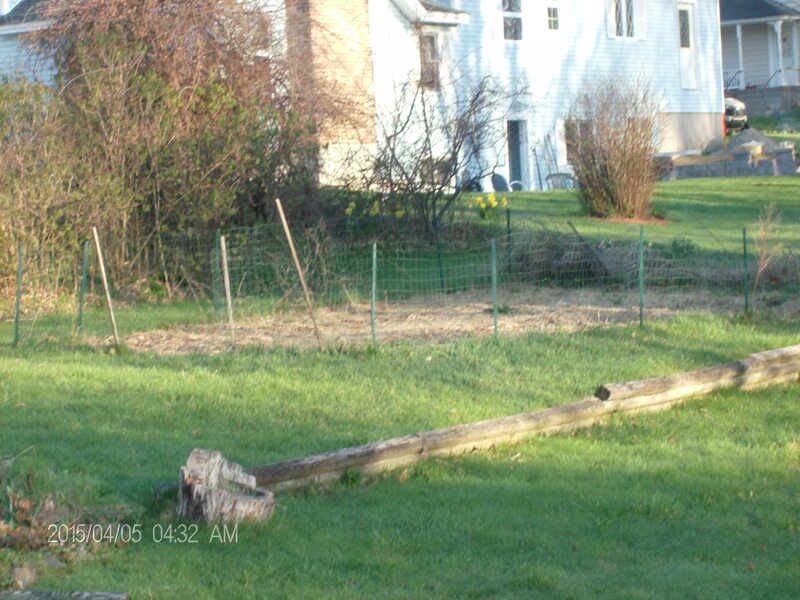 For this I need to get the fence situated because the woodchuck and I have already established a relationship that is solely based on me keeping him out of my garden. There is nothing quite the same as walking through the garden on a fine summer morning and seeing the stumps of your Brussel sprout plans with little teeth marks in them. So, this is my plan for this glorious Sunday. Are you playing out side today?